Vaping on Screen: What is the New Language of Smoking? No character on film or television – at least in good film or television – does anything without a reason. If they’re smoking, or drinking, or wearing a red scarf, it’s because the filmmakers want to us to draw conclusions about them from that activity. So what does it mean if a character is vaping on screen? The big screen is still trying to figure that out – but a few examples already point the way. Since the earliest days of cinema, the screen was fascinated by smoking. It’s almost impossible to imagine the great films of the 1930s and 1940s without it. Think of the endless flirtations as a heart-stoppingly glamorous femme fatale – Rita Hayworth in Gilda, maybe – holds out her cigarette for a light, or of those private detectives who stood under a streetlight in a gentle haze of cigarette smoke. Republicans in the House are turning to Vice President-elect Mike Pence to help stop a rule from the Obama administration that requires most electronic cigarettes to go through a costly review process. In a letter to Pence on Monday, Sen. Ron Johnson (R-Wis.) and Rep. Duncan Hunter (R-Calif.) called the rule from the Food and Drug Administration “an example of a burdensome rule that could eliminate the entire emerging industry” and asked that the next administration consider repealing or suspending it. 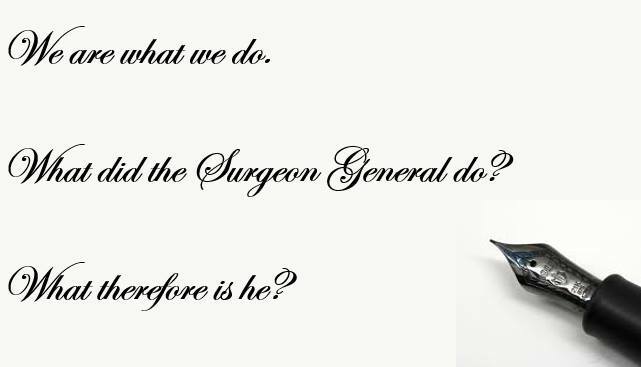 Surgeon General Vivek H. Murthy got it wrong. Contrary to the claims in this week’s highly publicized report, e-cigarettes and other vapor devices are not a threat to the health of youth, young adults, pregnant women or anyone else. The evidence—but not the narrative—presented in the surgeon general’s e-cigarette report supports both potential benefits and potential harms from these relatively new products, both for users and for the public at-large. When one also considers the evidence Murthy’s team opted not to include, the case for potential public health benefits is far stronger than the evidence that suggests e-cigarettes are a threat. Nicopure Labs, LLC, the leading manufacturer of premium American-made e-liquid brands Halo, eVo, and Purity has strongly criticised the U.S. Surgeon General’s advice regarding the relative risk of vaping and smoking. In his report into e-cigarette use among young people published on Thursday, the U.S. Surgeon General made no mention of the potential tobacco harm reduction benefits of e-cigarettes in adult smokers. Conversely, UK public health bodies including Royal College of Physicians and Public Health England have heralded the proven contribution of vaping to smoking cessation, harm reduction and therefore reduced mortality. On Friday, December 9th, the Norwegian government published a press release stating that the proposed changes in the tobacco act will pass in Parliament. The proposed changes are, as I’ve written before on several occasions, the EU TPD and plain packaging for both cigarettes and snus. I recommend reading my previous articles on what this proposal actually means, and what lies our politicians use to justify this, either consciously or due to severe lack of knowledge and willingness to learn. I also submitted an answer to the public consultation on this case. The exact time the new tobacco act will be effective is not yet set, but it will happen some time during spring 2017. The claims of anti-tobacco groups and health agencies — including the Surgeon General’s Office — that youth e-cigarette experimentation leads to smoking have been essentially destroyed after this morning’s release of results from the 2016 Monitoring the Future Survey. The 2016 survey finds that from 2015 to 2016, current cigarette smoking among 8th and 10th grade students dropped by the greatest amount in history. For 8th graders, current smoking dropped from 3.6% to 2.6%. Among 10th graders, smoking dropped from 6.3% to 4.9%. Health officials are stumped by a new study showing electronic cigarette use by teens in the U.S. dropped significantly in 2016. Youth vaping experienced a massive increase between 2011, when the products first gained traction, and 2015. Researchers at the University of Michigan, however, found a 3 percent drop in the youth vaping rate between 2015 and 2016. Officials are mystified by the results and do not have any conclusive explanations for the abrupt reversal in e-cigarette use, according to the university’s annual Monitoring the Future study. E-cigarette use among teens dropped in 2016, reversing an upward trend that had prompted the U.S. Surgeon General to recommend increased regulation and taxation. Among high-school seniors, 12% this year said they had used e-cigarettes in the past month compared with 16% in 2015, according to the National Institutes of Health’s annual Monitoring the Future survey. E-cigarettes and marijuana are both more popular among teens than regular cigarettes, whose use among teens has been declining for more than two decades, according to the survey. E-cigarettes are battery-powered devices that heat nicotine-laced liquid into a vapor.